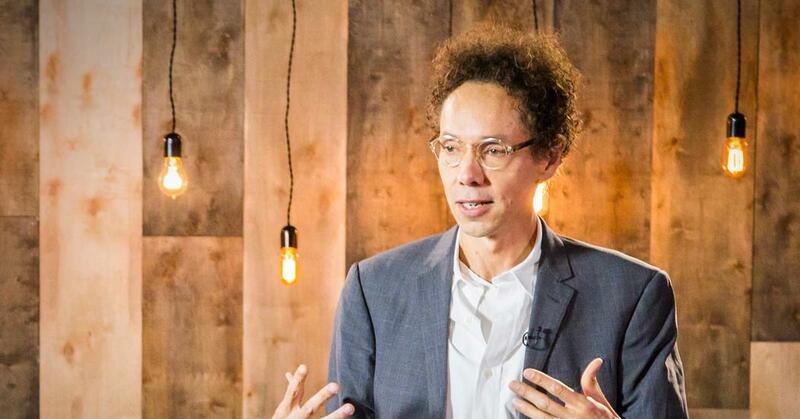 If you haven’t heard of Malcolm Gladwell, then go look him up NOW. Not only is he a major contemporary influencer and icon of socio-political science issues, but he is a master storyteller. His highly anticipated free podcast consists of ten 30 minute segments that perfectly blend cold hard facts with compelling anecdotal drama to re-examine history as we know it. The podcasts can be found on iTunes, but you can also listen to and download the podcast directly from his website. At revisionisthistory.com each podcast has it’s own perfectly summarized minimalist icon, and a page that includes links to source materials and a brief summary. This encourages further interaction with the podcast, prompting listeners to continue the conversation beyond the story’s end– to do their own research, to fact check, to form their own opinions about his sometimes divisive arguments. Hallelujah (http://revisionisthistory.com/episodes/07-hallelujah) is an examination of the artistic process. Gladwell describes two types of people– the instant genius who creates with one idea in mind and follows through quickly. Sia is a great example, writing hits like Diamonds for Rihanna in 15 minutes. Contrast that workflow with the slow and steady creative geniuses who toil and revisit work for days, months, or even years before getting it right, such as Leonard Cohen who fought to create Hallelujah. Gladwell focuses on these latter types (and doing so may give hope to some creative types out there who pine for a stroke of genius, only to struggle through long nights of artist’s block). Gladwell also explores the topic of success, and the many serendipitous circumstances that lead to it. Is something genius if no one recognizes it? While Gladwell explores Hallelujah’s journey to fame. Listen to her first albums or her hits with the band Zero 7 and you’ll notice that the high quality of her music hasn’t changed since the beginning of her career. The songs she was belting out years ago would top the charts today– catchy, lyrically vivid, effortlessly captivating. However, poor marketing and personal health issues stopped her pop star career in its tracks and she turned exclusively to song-writing. And maybe Sia’s genius would have stayed buried if David Guetta hadn’t intervened deus ex machina style. The hook for the song Titanium was written by Sia, but was actually meant to be sung by someone else. When Guetta heard the original demo, he immediately fell in love. He thought that Sia’s vocals were “incredible” and when other singers (including Katy Perry) turned down the song, Guetta decided to go ahead and release it unaltered and without permission. The track put her back on the map, bringing attention to the music of her early career and opening up a new platform for Sia’s original artistic genius today. It makes one wonder how many diamonds are still stuck out there in the rough, waiting to be discovered like her. Carlos Doesn’t Remember (http://revisionisthistory.com/episodes/04-carlos-doesnt-remember) is the first of a three part series exploring America’s education crisis. It’s a story about underdogs, as many great stories are. Carlos is a young boy who’s grown up in a disadvantaged world, a world so cruel that his mind protects him by deleting the most painful memories– when asked about his past, he doesn’t remember. It’s a story about survival and success, the kind of story that usually makes for soaring inspirational fodder. But this isn’t a feel good story. Gladwell’s tone and pace call for more alarm than celebration, as he points out the devastating inadequacies of the American Dream.